A great plan for the acreage or farm. 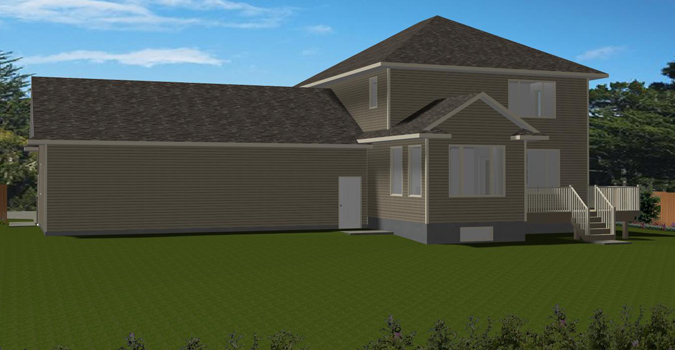 A beautiful front covered veranda with craftsman style posts sets off this 2-storey design. 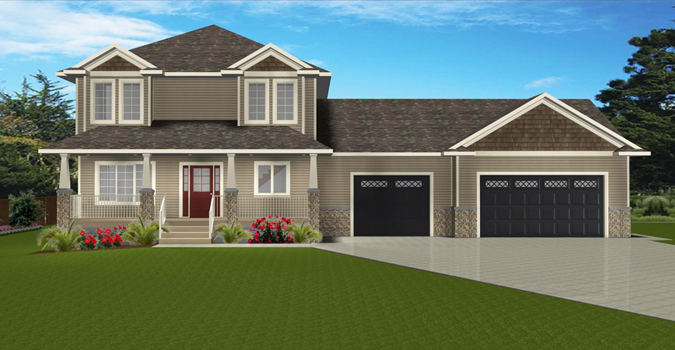 Large front door with sidelites, brick trim, and staggered garage doors add to the aesthetic appeal. The garage is oversized so plenty of room for a work area. Just off the front foyer, you will find double french doors leading into the den. 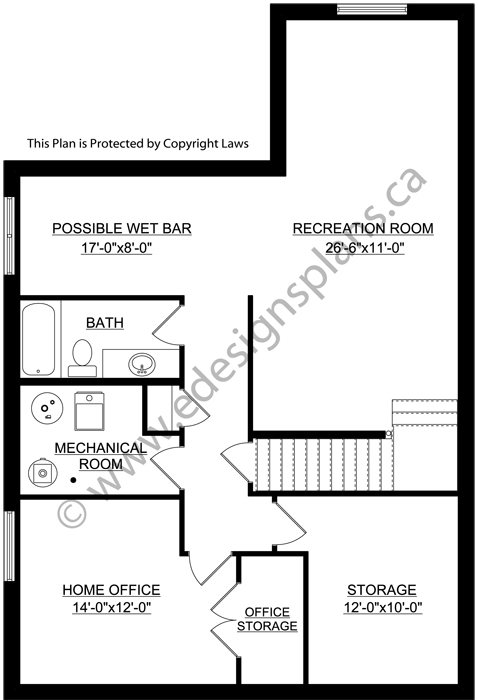 A mudroom/laundry room sits to the right, which also has access to the 3-car garage. 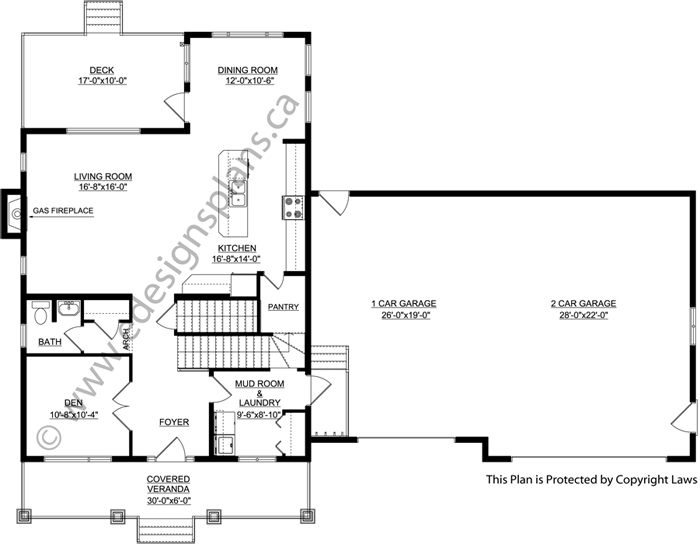 Next is a 3-piece bathroom, just before the open concept living room, kitchen, and dining room. The living room has a gas fireplace. The kitchen has a large walk-in pantry and working island. A garden door off the dining room takes you onto the rear deck. Upstairs are four bedrooms and a 3-piece bathroom. The two front bedrooms have a seating area boxed out. 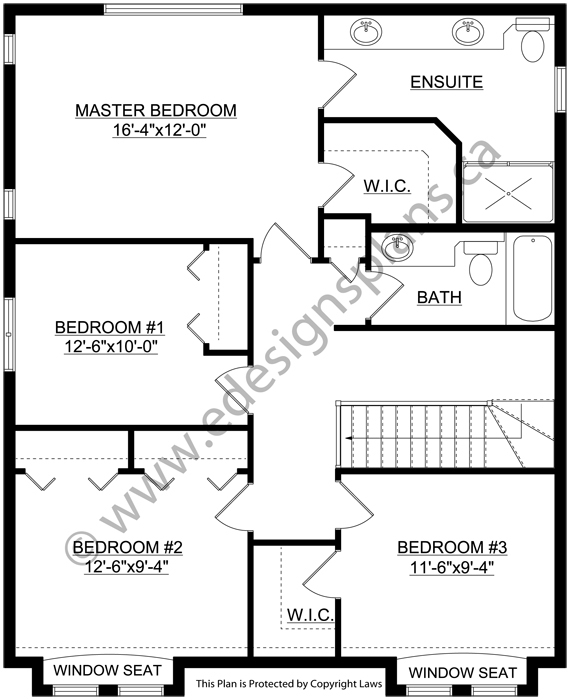 The master suite has a walk-in closet and 4-piece ensuite. Downstairs is a long recreation room with a wet bar off to the side, a 3-piece bathroom, a home office, and lots of storage.